born in Athens, is the author of six books of poetry, including Ομηρικά, (Athens : Kedros, 2010), published in German (“Homerika”, poets, translated by Dirk Uwe Hansen, Reinecke & Voss. 2015) and in English, (“Homerica”, translated by Brian Sneeden, World Poetry Books, 2017). Her last poetic book Ραψωδία (Athens: Gutenberg 2016) has been awarded the PenHeim Grant for translation into English (2018) and was nominated for the Anagnostis Book Awards (2017). An architect, graduated from the National Polytechnic School of Athens, Phoebe Giannisi holds a PhD in Classics from Lyon II-Lumère, published as Récits des Voies. Chant et Cheminement en Grèce archaïque, (Grenoble: Éditions Jérôme Millon, 2008). She has also co-authored, with Alexander Tzonis, a monograph on ancient Greek architec-ture, published by Flammarion in French, English and German (Classical Greek Architecture: The Construction of the Modern, Paris, 2004). A 2015–2016 Humanities Fellow of Columbia University, Giannisi is a Professor at the University of Thessaly and a founding member of the magazine [φρμκ]. Her work transverses the borders between poetry and performance, installation, theory and representation, and investigates the connections of poetics with body and place. Phoebe Giannisi has contributed to several group shows including the Lyon Biennale (2009), Guggenheim New York (2013), Bauhaus Dessau (2015). 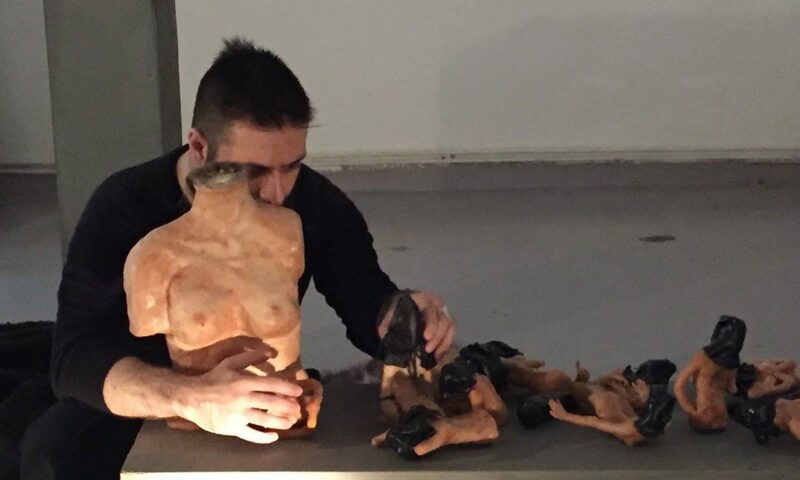 In 2015 she exhibited her work project about husbandry of goats AIGAI_O (http://phoebegiannisi.net/en/p.php?id=114) at the Angeliki Chatzimichali Museum in Athens (with Iris Lycourioti) In October 2016, she presented her performance/lecture Nomos_The Land Song at Onassis Center, New York (http://phoebegiannisi.net/en/p.php?id=120). From this project is also issued her next poetry book Chimera (Gutenberg: Athens 2018, under publication).